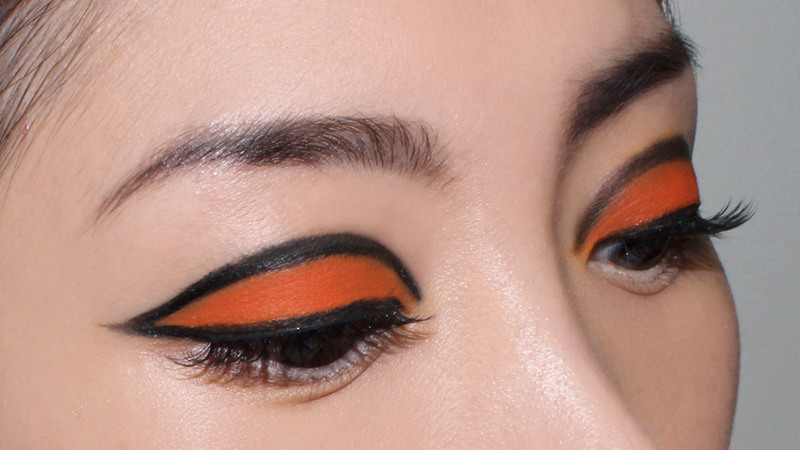 Vibrant eye makeup makes a comeback this Fall and the hottest colors around? Blue, green, purple, red and orange as seen at Prabal Gurung, Robert Cavalli, Prada and more. 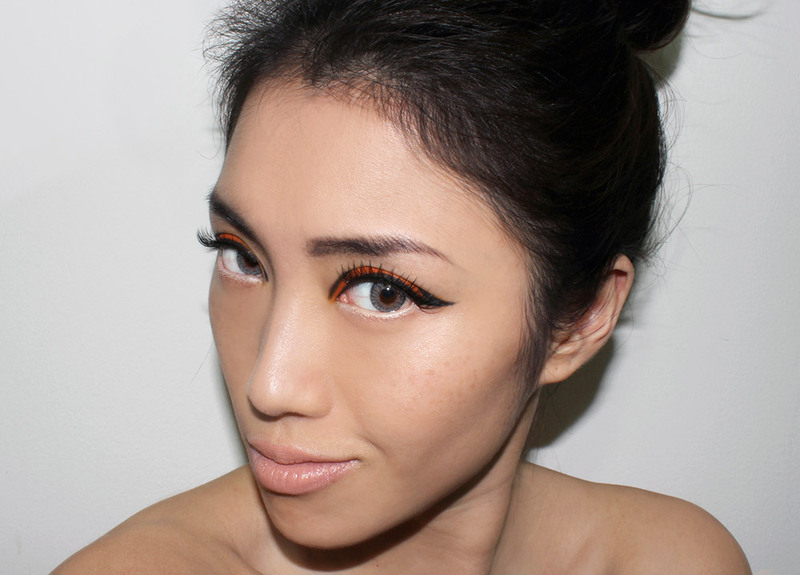 I too love myself some colorful eyes so here is an orange + black graphic eye you can easily do in just a few steps. Extra Tip: Always pair vibrant eyes with clean skin and muted lips to avoid an overkill. See more Fall/Winter 2012 runway looks! I love the graphic eye!!! Your contact lens are pretty! What are they? Thanks they are Freshlook Colorblends in Gray.